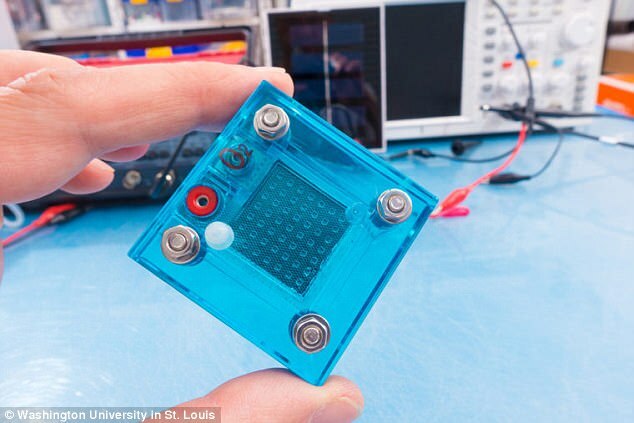 Fuel cells, as opposed to internal combustion engines, create power through electrochemical reactions, using hydrogen as fuel and air as an oxidant, according to the team from Washington University in St Louis. And, water is their main product. This means fuel cells could be used to generate cleaner electricity for essentially any battery-powered device, from automobiles to cellphones. Previously, scientists examined the cell’s emissions to determine which reactions may have caused a breakdown. But, the new approach shows the process as it occurs inside the cell for more accurate assessment. ‘If you buy a device – a car, a cell phone – you want it to last as long as possible,’ said Vijay Ramani, the Roma B. and Raymond H. Wittcoff Distinguished Professor of Environment & Energy at the School of Engineering & Applied Science. ‘Unfortunately, components in a fuel cell can degrade, and it’s not an easy fix.